Mucoceles, which are also known as mucous cysts, are cysts filled with fluid that can develop within the sinuses. When the mucoceles are unable to drain normally, the mucus will build up, causing the mucocele to grow larger. It is more common for mucoceles to appear on the lips after facial trauma (such as lip biting) but can develop in the sinuses due to other instances of facial trauma or prior nasal/sinus surgery. In some cases, they can occur even with no identifiable cause. When mucoceles form externally, they can usually be treated at home. However, when they grow internally in the sinuses, they can be more difficult to identify and treat. Mucoceles drainage will be necessary; if left untreated, serious medical issues can occur. 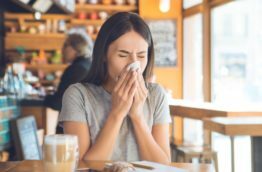 In order to treat mucoceles in the sinuses, surgery is needed to drain the cyst and create a wide opening to allow long-term drainage of the mucus to prevent recurring issues. The success rate of these procedures is exceptionally high with very minimal cases of recurrent mucoceles. In most cases, an internal surgical procedure involving endoscopic tools can treat mucoceles. There are rare cases where an external surgical approach may be used.